Damien Chazelle’s second film Whiplash played opening night at Sundance last week to wide acclaim, and Sony Pictures Classics snapped up distribution rights to it almost immediately. 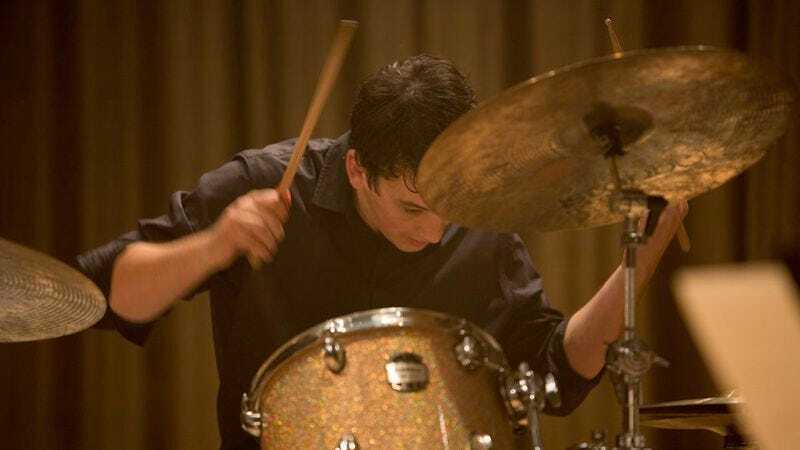 It’s reportedly a star-making turn for Miles Teller, who plays a young jazz drummer, building on notable performances in The Spectacular Now and Rabbit Hole. Now Entertainment Weekly reports Teller may continue that streak by taking on the Dan Aykroyd role in the upcoming John Belushi biopic with Emile Hirsch. The Hollywood Reporter quoted Emile Hirsch welcoming Teller to the project, but officially, Teller is supposedly holding off until after promoting That Awkward Moment to make a decision. Nevertheless, his roles in that film, Project X, and 21 & Over all suggest that he’ll fit right into the hard-partying atmosphere of a Belushi biopic, though hopefully in the more nuanced, mature fashion apparent in his recent films.